Tolland County - Learn by Doing! You meet new friends, solve problems and make a difference in your neighborhood or even in the world. Click here to learn how you can join Tolland County 4-H.
You’ll get plenty of training and support from the UConn Extension Staff and recognition, too. You will learn new skills and sharpen existing ones while seeing our 4-H youth grow through positive youth development. 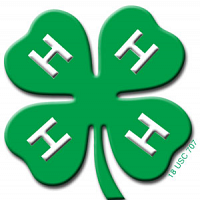 Click here for a 4-H Volunteer Application. According to research by Tufts University, 4-H youth are 25% more likely to contribute to their families, themselves and their communities, and 41% less likely to engage in risky/problem behavior. Make the Best Better.